Anton Eliasson of Shakr believes that the mobile video era is just beginning. Earlier, we established how even six-second ads or bumper ads can lead to high-engagement with brands (in the case of Facebook Ads). The world has also run out of excuses any more since you can create several types of videos with easy to use tools or shoot a video with your smartphone. 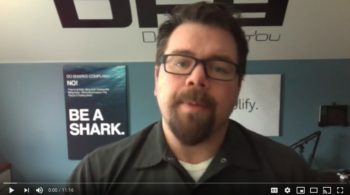 What can a video do to your emails as you do your email marketing, you ask? A Wistia report reveals that it leads to a 300% increase in click-through rate (compared to emails without video). Video is awesome. Email marketing is the true unsung hero of your business. 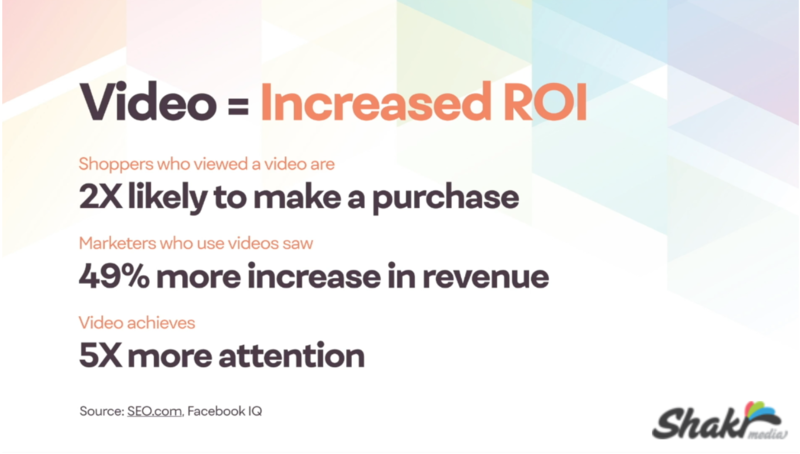 Together, video in email can change the way you do your marketing. Wistia obviously practices what it preaches. The email campaign above has a video front and center along with a few other calls to action buttons with video thumbnails. Wistia is a video hosting solution for businesses (with a few other tools in their arsenal such as Soapbox). 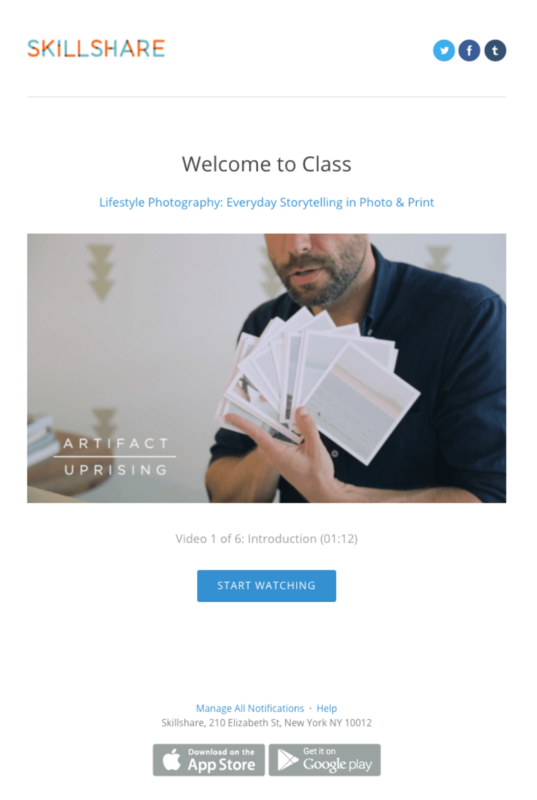 Wistia’s video hosting solutions provide you not just hosting for video but also video analytics, email collection tool called Turnstile, a brandable video player, and an entire library of video inspiration along with their blog and learning center. You have welcome emails, and then you have welcome emails with video. 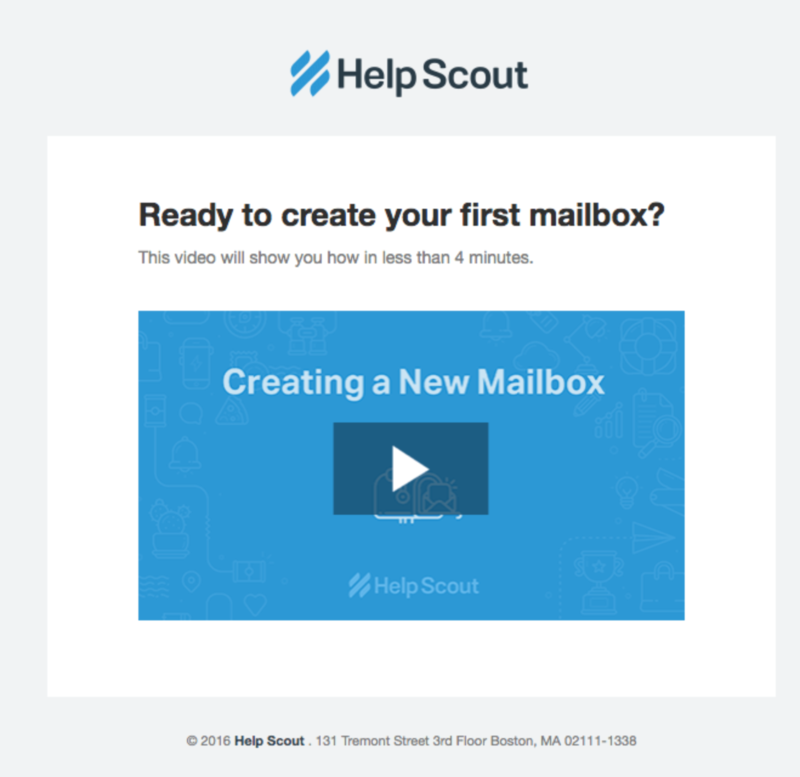 HelpScout’s welcome email soon after you sign up is simple and yet highly effective. 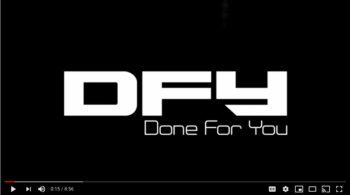 Instead of writing text that you might or might not read, embedding a helpful video that urges you finish what you started just gets the job done. 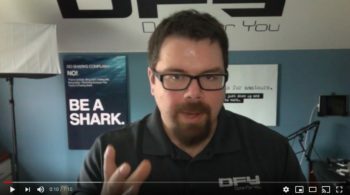 Did you notice that there’s absolutely nothing else in the email except for the video and a single line that tells you to create your first customer support mailbox in 4 minutes flat? It’s called Minimalism in marketing, and it works. Nothing tells a story better than a video does. You can’t demonstrate better in any other content format than the video itself. If you have a product or service, using videos to show your customers “how it works” is the next best thing to life itself. Spark is an app that helps you manage or process your inbox, deal with incoming email, and get more efficient with your Inbox. 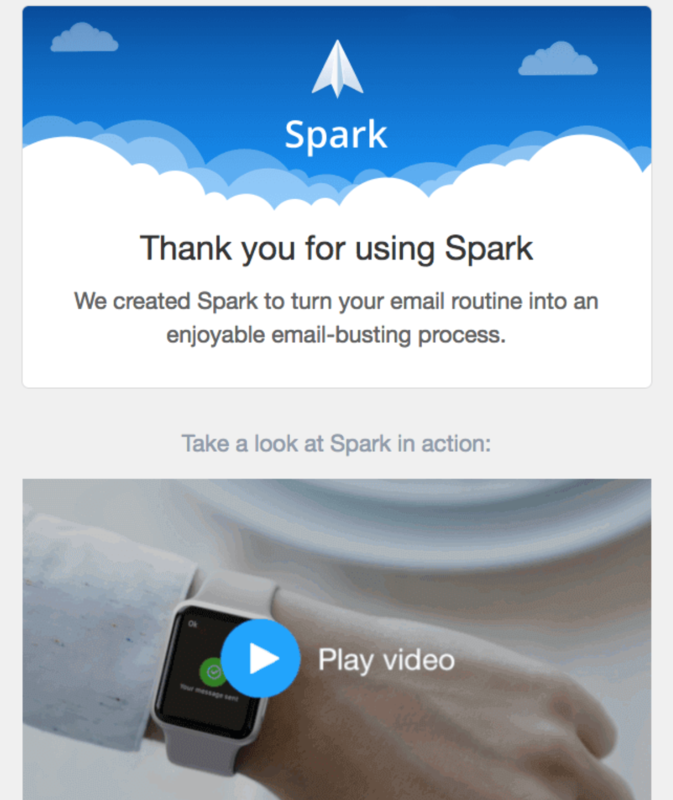 See what Spark does with their email campaign above — the screenshot is only a part of a rather long(ish) email. A video right at the top (front and center) to demonstrate how Spark works is the fastest way to convince their users to plunge right in and get started with the app. The testimonials, feature boxes, and other information will nudge potential users even further. Ready for another class in minimalism? Skillshare is an online learning platform where hundreds of experts teach you everything from technology to filmmaking. Their email campaign above does a lot of things right. The email has a video to nudge you into your first class already with nothing else there to distract you from taking that one step that you have to take. The call to action “Start Watching” is more than enough to get you onto your learning path. Clear, concise, focused, and on the job. This email campaign by 5By does a lot, all within a single email. Notice the use of words like “magic” (who doesn’t like magic, right? ), the compelling call to action, the big orange button, the use of a contrasting background to snap your attention right back to the email, and the thumbnail with Ellen Degeneres (social proof, anyone?). We bet $10 that you’ll click and take action on this email if you ever got one like this. 5By isn’t complaining. Ghost CMS takes simplicity to another level. Their email campaign is an example of extreme minimalism. 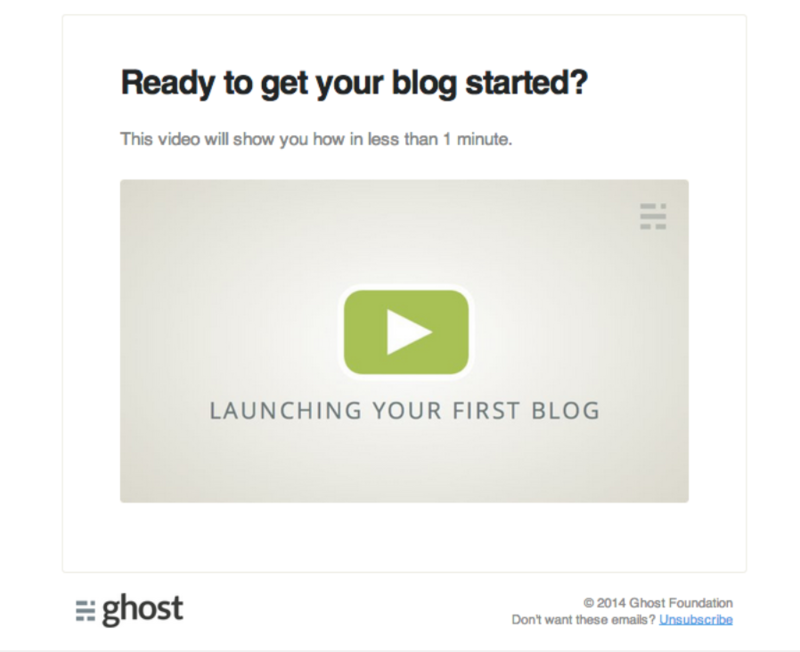 Instead of writing 8 paragraphs or noodling with a page of their knowledge base on how to start a blog on the Ghost platform, watching a one-minute video is truly compelling. With nothing else around to click on, a beautifully placed video right inside the email, we’ll want to see the video even if we might never use Ghost per se. 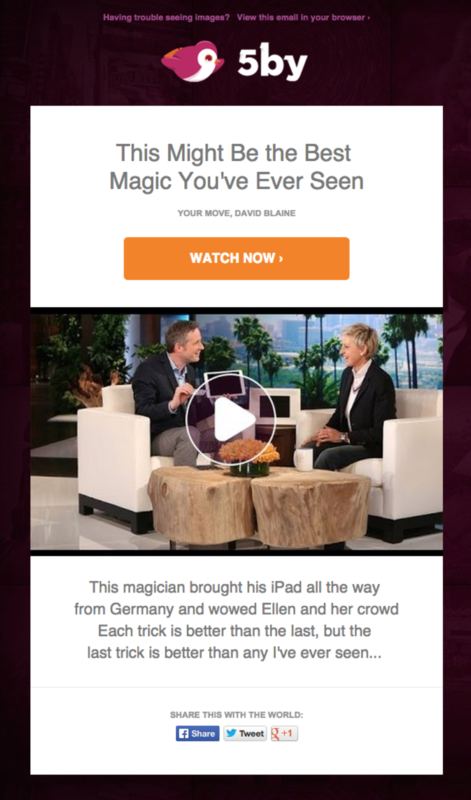 Are you inspired to use video in email marketing? Have you done it already? If yes, what are the click-through rates or engagement rates like? 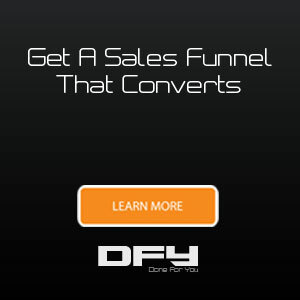 Need help with your email marketing strategy, sales funnels, landing pages, or your digital marketing in general? Get on a scheduled call with us. 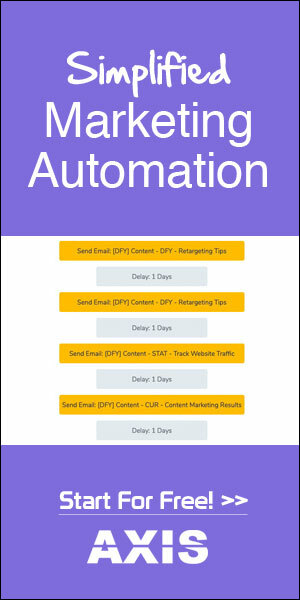 Want to make your marketing work like a machine? Register for our free Attract. Engage. Profit. Webinar.